Row 1: Demaris Humphries, Jimmy Sisson?, UG, UB, Robin Lockett. 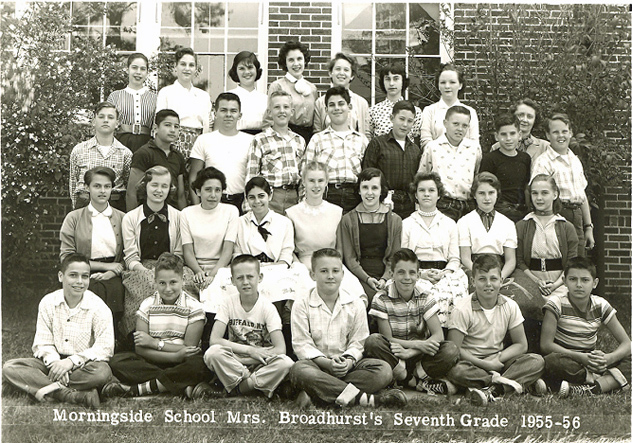 Row 2: Jon Kilgore?, Betty Sue Cameron, Mac McConnell, Vicki Taranto(? ), Harvey Whiteman, UG, Roddy White. Row 3: Carole Boyter, Chris Brown(? ), Sandra Shaffer, Charlie Creager, UG, Stanley Mendel, Nancy Woodall. 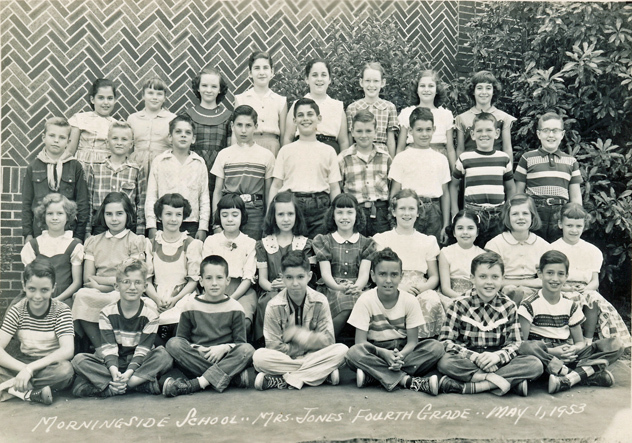 Row 4: Jimmy Jones, UG, Paul Rodbel, Mildred Eidson, John Steele, Glenda Novak. Row 2: Lindsay Leitch, Roddy White, Betty Sue Cameron, Harvey Shaffer, Claudia Clark, Mark Katz, Demaris Humphries, Harvey Whiteman. Row 3:Sue Pope, Jimmy Sisson, Ira Rachelson, Hal Hubbard, Jimmy Carr, John Stephens, UB, Annette Whatley. Row 4: UG, Robyn Facher, UG, UG, Loretta Bernath, Iris Ruskin, Miss Freeman. 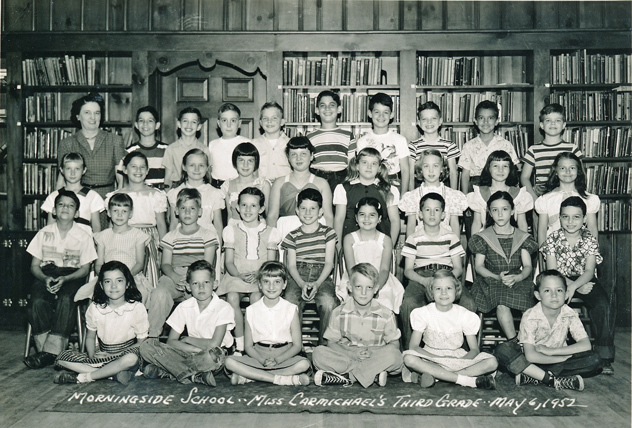 Row 1: UB, Joyce Stone, Charlie Creager, Marty Davis, UB, Dorothy Walker?, Mac McConnell. Row 2: Richard Ornstein, Trissy Morris, Bill Reynolds, UG, Freddy Clein, Vicki Taranto, UB, UG. Row 3: UG, Kay Blair, Sandra Shaffer, Judy Woodliff, Betty Neuhaus, UG, Harriet Maziar, Joy Woodard. 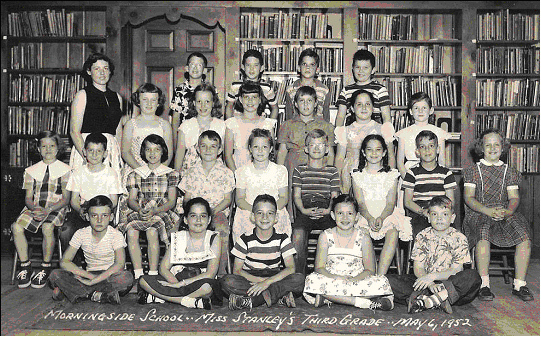 Row 4: UG, UB, Jimmy Black, Carl Raushenberg, Stuart Eisenstat, Paul Rodbell, Diane Hall, Mrs. Ramey. 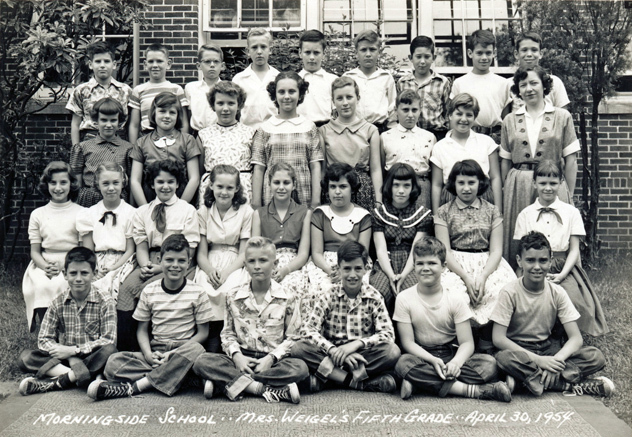 Row 1: Stanley Mendel, UG, Al Cooley, Glenda Novak, Jon Kilgore, UG, Joe Segal. Row 2: Karen Stovall, Bucky Crockett, UG, Johnny Glisson, Sandra Danneman, UB, Robin Lockett, Larry Barfield?. 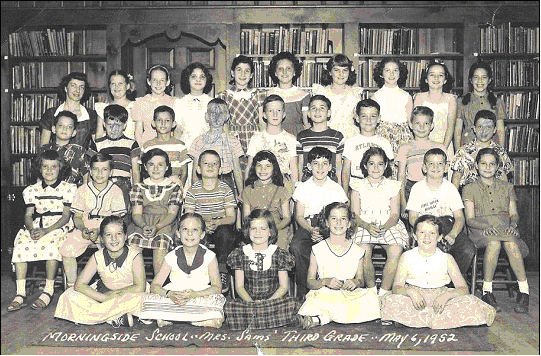 Row 3: UG, Mildred Eidson, Betsy Brooks, Sue Pope, Carole Boyter, Delores Rosenberg, UG, Susan Christopher. Ros 4: Kenny Horowitz, UB, Chris Brown, John Steele, Jimmy Jones, Paul Davis. 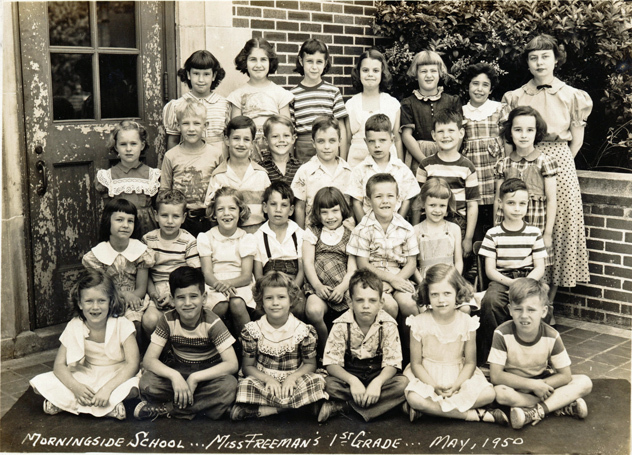 Carole Boyter, Betsy Brooks, Delores Campbell, Marty Davis, Faye Feinberg, Demaris Humphries, Lindsay Leitch, Carolyn Lund, Harriett Maziar, Trissy Morris, Bette Menhans, Sue Pope, Lynda Rosenstein, Iris Ruskin, Nancy Woodall, Judy Woodliff. Billy Bradford, Stuart Eisenstat, Jack Epstein, David Guptil, Lee Horn,Hal Hubbard, Mark Katz, Stanley Mendel, Carl Rauschenberg, Donny Sallee, Joe Segal, Harvey Taffel, John Thompson, Roddy White. 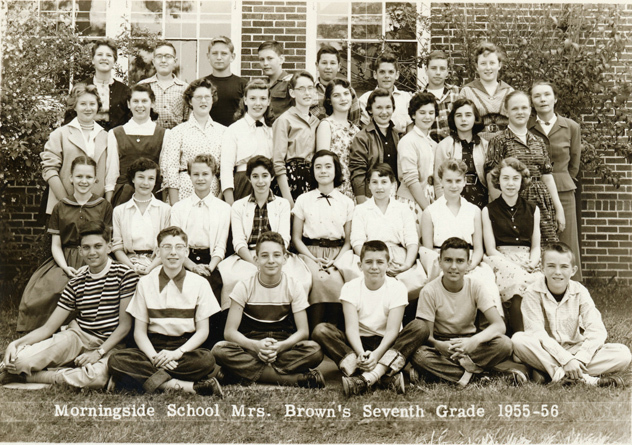 Row 1: UB, Faye Feinberg, Ivan Scott, Judy Woodliff, UB. 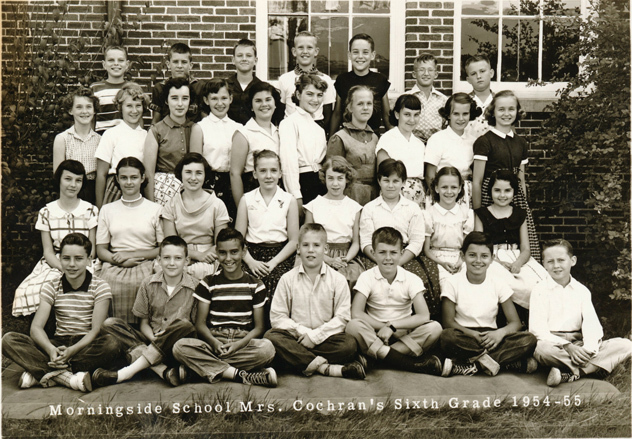 Row 2: Roberta Cole, Larry Barfield, Robin Lockett, Charlie Creager, UG, Johnny Glisson, Vicki Taranto, UB, Sue Pope. 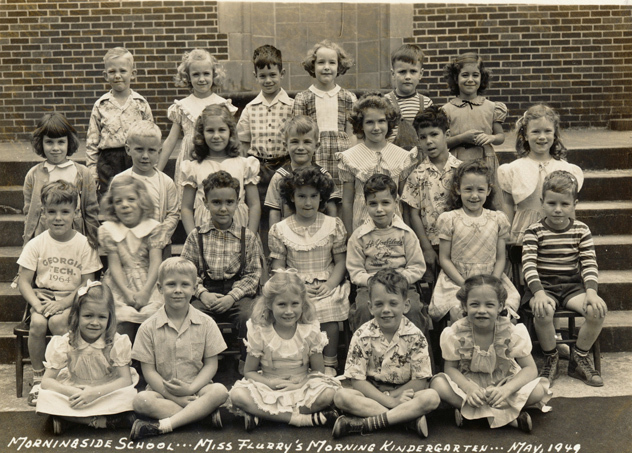 Row 3: Miss Stanley, Charlotte Coan, Lisa Moore, UG, Delores Rosenberg, Betty Neuhaus, Melissa Scott. Row 4: Carl Rauschenberg, Jimmy Black, Dwight Johnson, John Anderson. Row 1: Loretta Bernath, UG, Alma Anna Sutton, Carolyn (? ), Nancy Woodall. Row 2: Marene Campbell, Roddy White, Kay Newell, Hal Andrews, Claudia Clark, Bill Reynolds, Glenda Novak, Lee Horn, Sandra Shaffer. Row 3: Raymond Franco?, John Steele, Ira Rachelson?, Jimmy Jones?, (?) Perry, Stuart Eisenstat, Jon Kilgore, Al Cooley, Jimmy Carr. Row 4: Mrs. Sams, Betsy Brooks, Mildred Eidson, Susan Baughman (? ), Robyn Facher, Diane Hall, Joy Woodard, Kyle (? ), Annette Whatley, Jennifer Ward. 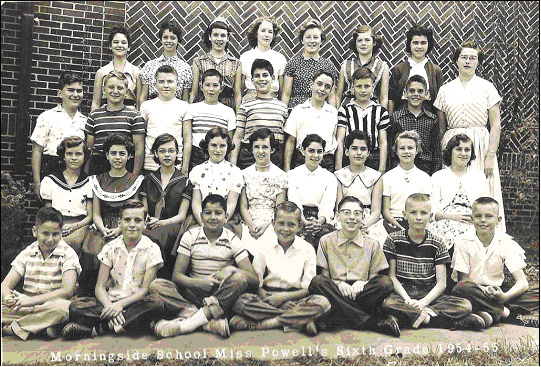 Row 1: Karen Stovall, Hal Hubbard, Sandra Danneman, Bucky Crockett, Marty Davis, UB. 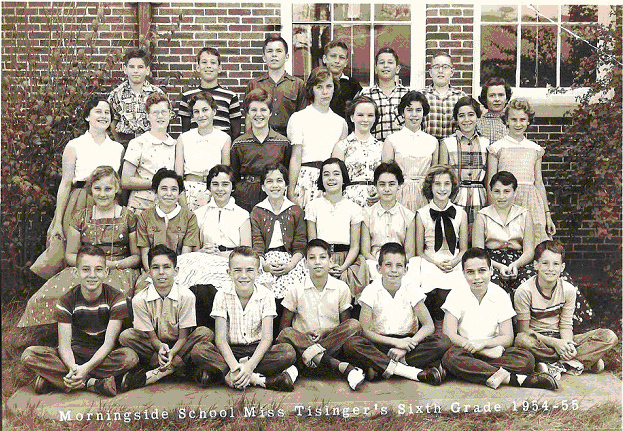 Row 2: Harvey Shaffer, Demaris Humphries, Richard Orenstein, Carol Garvin, UB, Trissy Morris, Ben Dasher, UG, Harvey Whiteman. Row 3: Janice Wright, Joyce Stone, Susan Christopher, Carole Boyter, Harriett Maziar ?, Sheila McDonough, Dorothy Walker, , Lindsay Leitch, Mary Gunn. 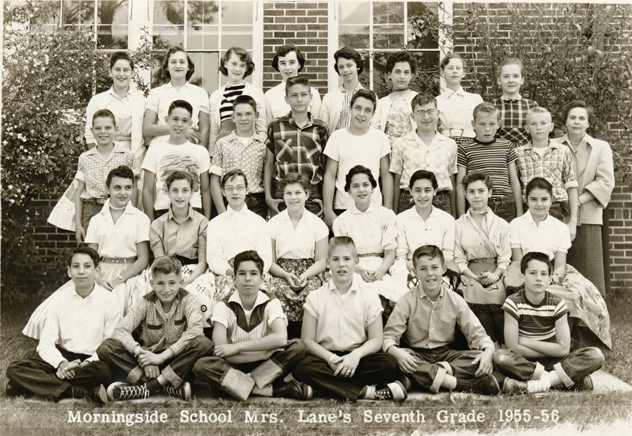 Row 4: Miss Carmichael, Stanley Mendel, Ira Rachelson, Paul Davis, Robby Fain, Kenny Horowitz, Paul Rodbell, John Stephens, Mac McConnell, David Guptill. Row 1: Jimmy Carr, Johnny Glisson, Ben Dasher, Stanley Mendel, Mac McConnell, Jerry Kinney, Ira Rachelson. Row 2: Roberta Cole, Janet Siegel, Lindsay Leitch, Karen Stovall, Carol Garvin, Claudia Clark, Nancy Woodall, Trissy Morris, Melissa Scott, Demaris Humphries. Row 4: Faye Feinberg, Sheila McDonough, Kay Blair, Robyn Facher, Betsy Neuhaus, Mildred Eidson, Sandra Shaffer, Glenda Novak. Row 1: Roddy White, Richard Orenstein, Hal Andrews, Bucky Crockett (or Jenkins? ), David Guptill, Charlie Cregar, John Stephens. Row 2: Margo Katz, Sandra Danneman, Robin Lockett, Mary Gunn, Marty Davis, Vicki Taranto, Dorothy Walker, Susan Christopher, Stephanie Braun, Sue Pope. Row 3: Ivan Skott, Carl Rauschenberg, Jimmy Jones, Jon Kilgore, Jimmy Black, Joe Segal. Row 4: Jean McGee, Carole Boyter, Joy Woodard, Carolyn Boutse, Elaine Petrakas. Row 1:(? ), John Stephens, Coleman Owen(? ), Ira Rachelson, David Guptil, Mac McConnell. 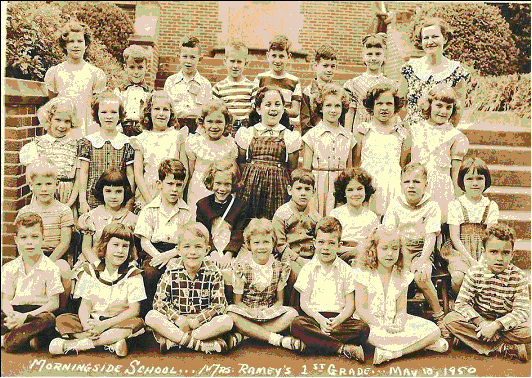 Row 2: Sandra Danneman, Dorothy Walker, Vicki Taranto, Lenore Batelann, Sandra Shaffer, Faye Feinberg(? ), Claudia Clark, (? ), Demaris Humphries. Row 3: Maurene Campbell, Melissa Scott, Lisa Moore, Diane (? ), Charlotte Coan, (? ), (? ), Mrs Weigel. Row 4:(? ), Lee Horn, Hal Hubbard, (? ), John Steele, (? ), Chester Parver, (? ), Larry Taffel. Row 1: Roddy White, Greg Gagarin, Mac McConnell, Richard Ornstein, Mark Katz, George Chotas, Robwert Roland. Row 2: Lindsay Leitch, Mary Gunn, Kay Newell, Pat Kellar, Dorothy Walker, Patsy Jones, Demaris Humphries, Trissy Morris. Row 3: Lenore Batelaan, Janice Wright, Annette Whatley, Judy Woodliff, Elaine Petrakos, Joy Woodard, Sue Pope, Marilyn Farr, Marene Campbell, Susan Christopher. Row 1: Ivan Skott; Stanley Mendel; Charlie Cregar; Harvey Shaffer; John Mumford; Harvey Whiteman; Ben Dasher. Row2: UG; Iris Ruskin; Janet Siegel; Ruthie Aftergut; Karen Stovall; Charlotte Werbin; Sandra Danneman; Susan Saks. Row 3: Joyce Stone; Betsy Brooks; Sandra Shaffer; Loretta Bernath; UG; Kay Blair; Jennifer Ward; Glenda Novak; Debbie Sissleman. Row 4: Jack Epstein; Larry Taffel; John Anderson; Jimmy Kearley (sp? ); Chester (Chet) Parver; Paul Davis, Mrs. Tisinger. Row 1: Jimmy Molkner, Jerry M (? ), Richard Alterman, Al Cooley, Stanley Yerlow, Coleman Owens, Robby Fain. Row2: Roberta Cole, Margo Katz, Robin Lockett, Sara Ellen Berman, Carol Garvin, Stephanie Braun, Faye Feinberg, Marty Davis, Delores Rosenberg. Row 3: Ernest Hamel, Joe Segal, Max Smith, Jimmy Black, Kenny Horwitz, Jimmy Carr, John Steele Dwight Johnson. 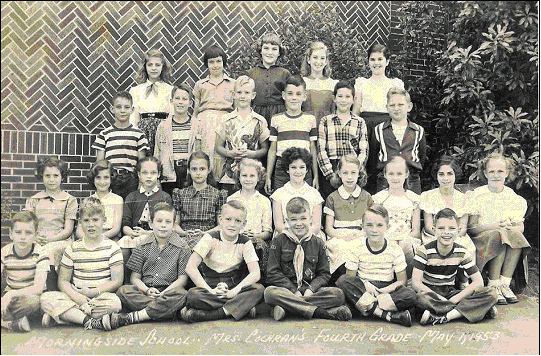 Row 4: Vicki Taranto, Roni Hansen, Carole Boyter, Mildred Eidson Charlotte Coan, Melissa Scott, Claudia Hughy, Miss Powell. Row 1: Harvey Whiteman, Jimmy MolknerUB, UB, UB, UB, UB, George Chotas. 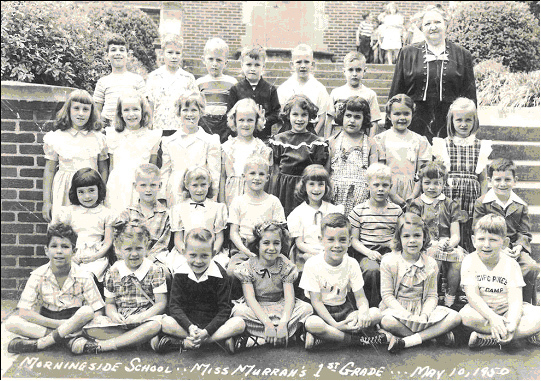 Row 2: UG, Susan Christopher, Iris Ruskin, Glenda Novak, UG, Carol Garvin, Roberta Coleman, UG, UG. Row 3: Buddy Lewis, Richard Alterman, John Anderson, Jimmy Jones, Kenny Horowitz, Jimmy Black?, UB, UB, UB. Row 4: UG, UG, Elaine Petrakos, Carol Boyter, UG, UG, Kay Blair. Row 1: Jeffrey Mandel, Stanley Yerlow, Ivan Scott, Greg Gagarin?, Mac McConnell, Charlie Cregar. Row 2: Demaris Humphries, Lindsay Leitch. Marty Davis, Glenda Novak, Karen Stovall, Susan Saks, Debbie Sissleman, Dorothy Walker. Row 3: Janice Wright, Carolyn Lovell, Betsy Brooks, Lisa Moore, Mildred Eidson, Joy Woodard, Judy Woodliff, Vicki Taranto, Janet Siegel, Sue Pope, Mrs. Brown. Row 4: Loretta Bernath, Paul Davis, Joe Segal, John Steele, Chester (Chet) Parver, Dwight Johnson, Roddy White, Charlotte Coan. Row 1: Harvey Shaffer; Johnny Glisson, Stanley Mendel, Richard Orenstein, Mark Katz, Ben Dasher. Row 2: Gloria Doal, Sandra Danneman, Robin Lockett, Patsy Jones, Ruthy Aftergut, Charlotte Werbin, Margo Katz, Trissy Morris.